Cesarean Sections -- surgical births -- are not always preventable. And sometimes they are literally lifesaving. In most cases, however, C-Sections can be avoided -- and that's a good thing. There is a myriad of advantages to vaginal birth, both for the baby and for the mother. Here are five steps you can take to lower the likelihood that you'll need a C-Section. Select Your Care Provider Wisely. The care provider you choose to help you give birth will be one of the key ways to avoid a cesarean section that isn't necessary. When interviewing your doctor or midwife, be sure to ask them what their primary cesarean rate is in their practice. This asks them to tell you the number of first cesareans, a more accurate picture of how often they perform this surgery, thus leaving out all of the repeat cesareans. This number should be low, preferably under 10%. Another reason that your doctor or midwife is important is that they often have only a few places where they bring their patients for births. Some practice in a home birth setting or birth center, while others have multiple hospitals that they use for their birthing clients. Hospitals also influence the cesarean rates by their policies for labor and birth care. Talk to the participating hospitals and find out their cesarean rates. Get Educated About Labor and Birth. Taking a class, talking to other people who have been there, and reading good books are all crucial in your quest for the birth that is right for you. By learning about the process of labor and birth, you are more likely to be relaxed and feel comfortable with your surroundings and the birth process. In the course of your education, you will also learn about birth plans and how you can appropriately express your choices for birth to your doctor or midwife and your place of birth. Induction of labor can lead to an increased cesarean rate. This is particularly true if you have never given birth before. The quality of your cervix, how ready it is to give birth, will also influence whether or not your induction leads to a cesarean. 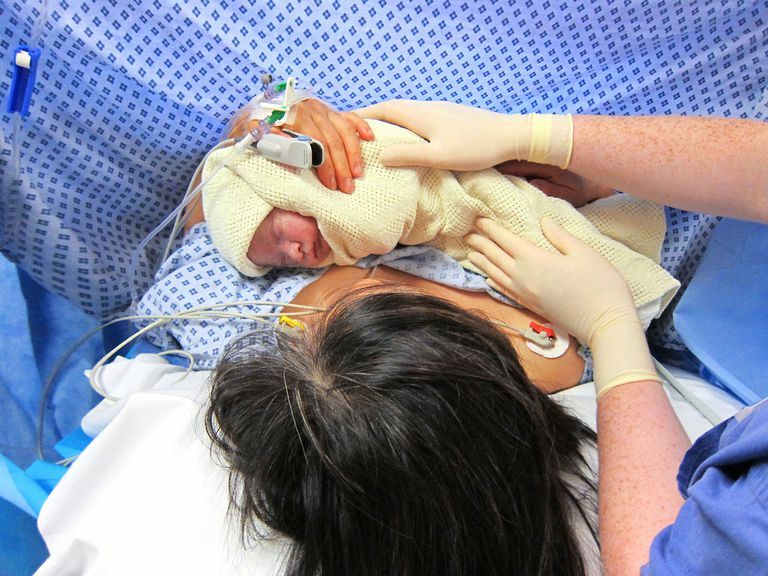 Learn about alternatives to induction of labor as well as the types of induction used. Another issue is social or elective induction. These inductions are used to benefit your schedule or the schedule of your doctor or midwife. If you want to avoid an unnecessary cesarean, avoiding induction is one way to lower your risks of surgery. If your induction is for medical reasons, talk to your practitioner about what type of induction works best for your situation. Use Medications and Interventions Wisely. Medications such as an epidural anesthesia and others have their time and place in birth. However, if you use them too early in the process they can also increase the risk of having a cesarean section. If you wait until you are in active labor or past five centimeters, you can reduce some of this risk. Interventions can also lead to an increase in the cesarean rate. A good example would be breaking your bag of waters and wedging your baby in a position that makes a vaginal birth more difficult or impossible, like a posterior baby. It could also increase the infection rate for you and baby. Support is key for labor and birth. Using a professional doula is a great way to reduce your risks of having a cesarean. The cesarean surgery rate for the clients of doulas is lower by 50%. These trained professionals are schooled in the ways of labor support using massage, positioning, relaxation, information and many more skills to make you more comfortable during your labor.